This is such a scrumptious low fat snacking recipe, which I wish I had known about years ago! They taste better than potato chips and are much better for you. 1 baking tray of washed and de-stemmed kale leaves. Drizzle extra virgin olive oil over the kale leaves along with the chili flakes and Himalayan salt. I like to use my hands to mix this thoroughly to ensure each leaf is covered. Place the tray in the oven for 10-15 minutes until the edges of the leaves beginning to look crispy and slightly brown. I prefer to serve hot but its just as delicious served cold. 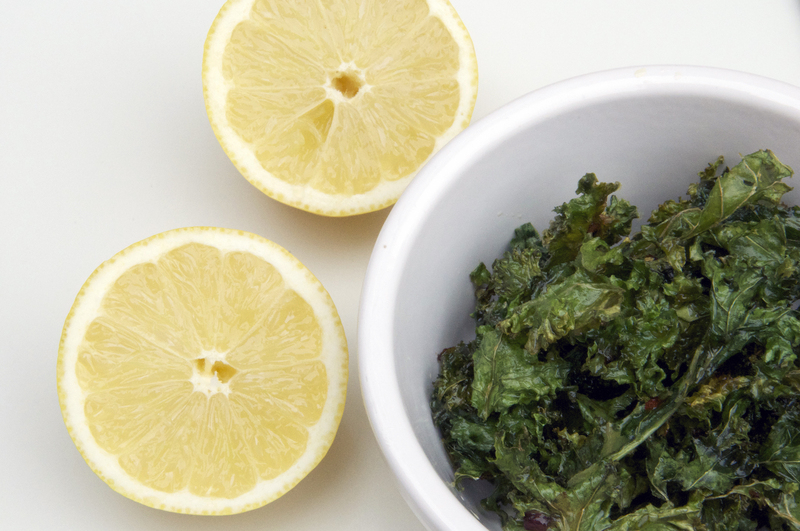 Kale chips are packed with so much nutrition and vitamins. They are a super source of iron which is great for your blood cells, and keeping your body oxygenated. They contain vitamin A, which contributes to healthy skin, eyes and bones. The Potassium that helps keeps your immune system healthy. You also consume trace amounts of calcium, magnesium, phosphorus, vitamin C and vitamin K.
The best ever healthy Banoffee pie. Scrumptious Sweet potato Brownies . Super Green Cleansing detoxifying smoothie.